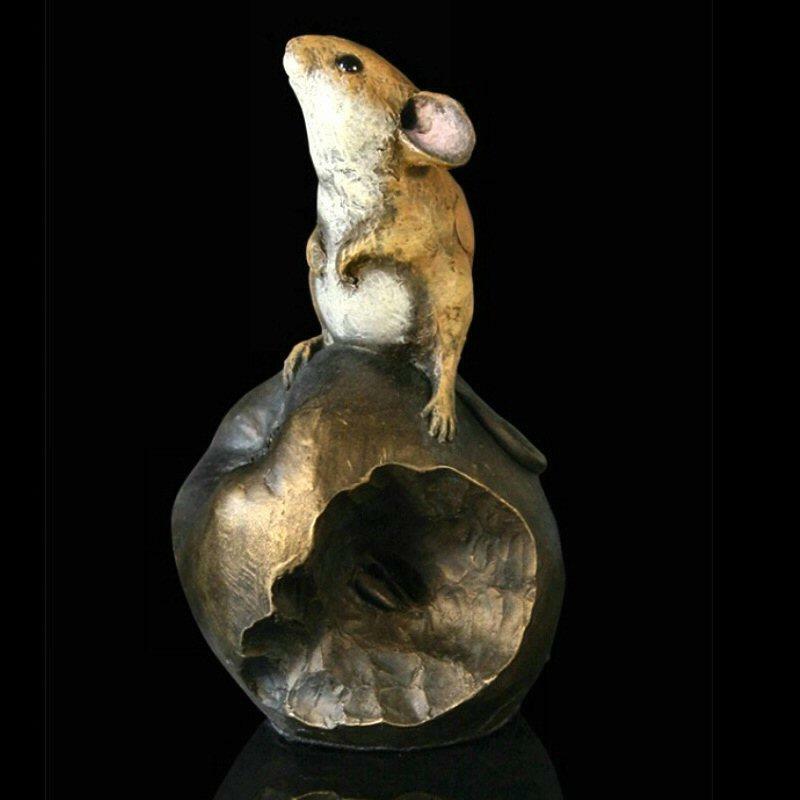 Adorable sculpture in cold cast bronze by Michael Simpson of a mouse on a part eaten apple - a fine gift and very collectable. Supplied packed securely in a gift box. cold cast bronze, hand painted.